Like virtually every other reviewer, I harshly criticized “The Elder Scrolls Online” during its launch week, referring to it as a mediocre MMO, a very poor-man’s traditional “Elder Scrolls” title and a clear failure as a compromise between those two things. The potential was obvious, but it was also clear that ZeniMax Online Studio’s massively multiplayer take on the franchise would need a few years’ worth of polish and reworks if it were to have any real impact on the gaming scene. It’s rare that a developer addresses concerns and criticisms to the point of practically reworking their entire game, but ZeniMax Online Studios has done just that. The change in direction is startling, but “The Elder Scrolls Online” has only improved since its initial launch in 2014 and there’s never been a better time to jump in. With that in mind, and the recent release of the MMO’s latest expansion, “The Elder Scrolls Online: Morrowind,” it’s worth taking another critical look at the game. Unless otherwise stated, this re-review will be focused on the base game and the content that is available to all players regardless of subscription status. New players should note that purchasing “The Elder Scrolls Online” Morrowind” will also unlock all of the content available in the base game. OK, moving on. 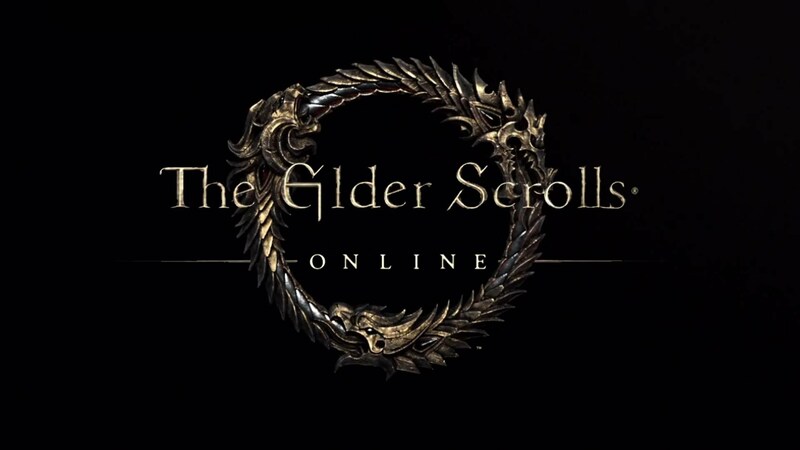 The first question most people will ask is: Is “The Elder Scrolls Online” a good multiplayer “Elder Scrolls” title? The answer is a resounding yes. This is about as good a mix of single-player RPG’ing and an MMO as one could reasonably expect, and a phenomenal game in its own right. The game’s greatest strength is its endless customization. Though classes and the game’s three base statistics (health, magicka and stamina) provide some structure, players have a vast array of perks, weapons and abilities at their disposal. Sorcerers can viably don shields and heavy armor, while the Warden—introduced in “Morrowind”—can mix a variety of abilities from its dedicated tanking, healing and damage skill lines. Practically everything is at least decently viable unless you’re participating in the most difficult endgame player-versus-environment content, which is to be expected. However, it’s a bit of a letdown that your race has a noticeable impact on your stats. “Skyrim” fanatics might want to roll a Nord character, but unless you’re interested in tanking, you’d be better off with another race. It’s not so drastic to gimp your character, but it’s a shame that such a visible part of your character is tied to stats. Still, freedom is the focus here: I specialized my main character as a stealthy Nightblade ganker. Armed with a variety of buffs and burst abilities, the toon can assassinate unaware players in the blink of an eye and vanish before enemies can retaliate, but the character suffers from paper-thin defenses and poor sustained damage. Even in this niche role, customization options are abound. Gear, utility spells and even weapon types are up to user preference and can completely change the play style. Bows, greatswords and twin blades are all viable and have their own strengths and weaknesses, which is unprecedented in a gaming genre that typically requires players to adhere to a conventional metagame. As importantly, you can play almost the entire game with anyone. The entire world is immediately open to your character regardless of faction and is scaled, which means that players of all levels can quest together. Outside of the Cryodil PvP (more on that later), even players from separate factions are free to group together. Of course, none of this means much if there isn’t stuff to do in-game. Powerleveling is certainly an option, but for those that game at a more relaxed place, there’s at least a few hundred hours of content to keep players logging back in. “The Elder Scrolls Online” has remedied a significant majority of its glaring launch issues and the difference is night and day. Crime systems, player housing, dueling, major quest chains and incentives (in the form of skill points and lore books) to explore all of Tamriel should keep the “MMO grind” to a minimum. That said, “The Elder Scrolls: Online” suffers from a severe lack of tangible rewards and bling. There’s very few quests that drop anything more than leveled gear that will become obsolete within an hour of play, while the vast majority of the cosmetic armor, interesting mounts and practically everything else you’d hope to find while adventuring in a single player “Elder Scrolls” title is locked behind the game’s cash shop. Yeah, “The Elder Scrolls Online” doesn’t require a subscription and it is a game that exists in 2017, so of course there’s a cash shop, and yes, it’s a major bummer. In fairness, it’s not as egregiously awful as the cash shops in some other MMOs (I’m looking at you, “Star Wars: The Old Republic”) and subscribers get a generous monthly stipend to spend on all sorts of cosmetic goodies, but the lack of cool unlockable in-game items is a major turnoff nonetheless. If the massive world loses its luster, overworld quests will definitely start to drag after awhile. Though some world bosses and events necessitate concentration, most of the game will become laughably easy after you learn the mechanics, especially if you keep your gear up-to-date. That said, this is an MMO, and there’s certainly enough endgame content to make the occasional drag of leveling worth it. Player-versus-player battles are suitably skill based and demands both environmental awareness (a huge plus that can not be stressed enough) and deep knowledge of each class’ strengths and weaknesses. On the other end of the spectrum, PvE dungeons and raids feature plenty of entertaining mechanics that encourage teamwork and communication, although I doubt there’s enough hyper competitive content to drag diehard raiders away from “World of Warcraft” in the long term. Still, serious players will find plenty to do here, though dungeon queue times can be rough for DPS players. Like most MMOs, “The Elder Scrolls Online” is best when you’re with friends. While the PvE content is largely what you’d expect from the genre—though it benefits greatly from the game’s fantastic combat system—the game’s primary PvP mode is sure to polarize players. Cryodil acts as a massive objective-based PvP instance, and though it’s an ambitious concept that occasionally results in brilliant moments, there’s far too much downtime and when action occurs, it often devolves into zergfests where massive unkillable hordes of players rove the map taking objectives. I much prefer Battlegrounds, introduced in “Morrowind,” where three teams of four duke it out in several game modes. There’s great potential for coordinated groups to succeed and Battlegrounds will likely prove to be one of the game’s greatest features, even though the mode is currently marred by a shoddy queue system that often dumps solo players into underpopulated teams. Again, bring some friends. Whether you’re interested in slaying fellow players or teaming up with them, you’ll probably make frequent use of the Guild Trader (auction house) system. It’s interesting that much of the endgame gear is tradable on the player-run markets, but the ambitious system is absurdly inconvenient. The Guild Trader’s user interface is horrible and there’s no centralized trading hub, which means that you’ll need to hoof it all over Tamriel to compare prices between the scattered vendors. The user interface issue extends to the rest of the game. It’s an infuriatingly minimalist design, and “The Elder Scrolls Online” would definitely benefit by going in a more information-heavy MMO direction here. Thankfully, there are plenty of add ons that can improve the user interface—including the former Guild Trader issue—but this stuff really should’ve been built into the game. True to the franchise, there’s also several noticeable bugs. Player character models occasionally fail to load unless you relog, grouping systems sometimes boot players out of an instance and, as mentioned, fail to create balanced PvP teams and random crashes do occur, albeit rarely. But you know what? In my 300-odd hours of playing, those quirks don’t stand out. It’s the slaying of demons, the shooting other players in the face, the saving of kings and the exploring of caves that I remember, and I haven’t had this much fun wandering around a massive open world in years. I’ve never had the pleasure of seeing a game improve this much since launch and while “The Elder Scrolls Online” definitely isn’t perfect, it’s a grand, content-rich adventure that I imagine I’ll still be playing for months to come. This entry was posted in Uncategorized and tagged gaming, reviews by tylerhersko. Bookmark the permalink.